Guess what’s new here? 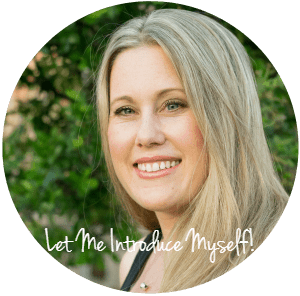 I have some seriously fantastic guest bloggers coming your way! They were all hand-picked for their unique voices and helpful content…and, they’re awesome. So today I am sharing a post from Crystal, who has actual organization skills. Where I *try* to be organized and keep it together and fail? Crystal actually succeeds. Here are some organization tips to help you dominate your Mondays and get your week started on the right foot (be sure to find more from Crystal at Happily Every Uncluttered). As you may or may not know, I am a planner. I mean, I am not so set in the planning of my day that if something comes up I can’t just go with it, however, I do like a generalized plan for the day. There is one day of the week more important than any other. I am always perplexed by the number of people who bash this special day. There is a reason this day takes precedence before all the other six when it comes to productivity. Mondays are the mamas to each of the weeks. Mondays always know what is going on. Mondays have the power to make a week or break a week. Think about it this way, if your Monday gets messed up it seems to make the rest of the week off kilter somehow. You may be thinking I sound crazy, but think about it. Start paying better attention to your Mondays. My Mondays are always the same because that works for me. I don’t like my Mondays messed with. It is the day I get my house back in order after the weekend. So on Mondays, I am always on a mission. As for me, my week starts on Sunday night. This helps me to have a jump start when I get out of bed on Monday morning. Sunday nights consist of planning my week, separating laundry, taking it to the laundry room (love my laundry room), put towels in. No, I don’t start it yet, I just put the towels in the machine. So, they are ready for me on Monday morning. Here is how my mission Monday looks every week… Monday morning, I get up and go start my first load of laundry. By the time I need to leave to take the girls to school, I am able to put my first load into the dryer and start my second load (yes, I know how not smart it is to run the dryer when you aren’t home). And the process continues, I am done with the laundry within three hours. During my down time between loads of laundry, I go ahead and clean the bathrooms. It doesn’t take too long to clean a bathroom if the bathroom is already tidy and picked up. Then, after the laundry and the bathrooms are done, I clean up the kitchen. Meal Planning Printable – plan your meals for the week on Sunday, and you’ll know exactly what you’re having for dinner each night! If you’re really strapped for ideas, just print out these free meal plans and be set for the entire month! Laundry Room Printable – this won’t get your organized, but it will make laundry more fun! Finally, I get the wonderful privilege of picking up our girls from school every day. Not something I take for granted. The rest of my day is spent with them, making dinner, and our normal evening routine. Now you know exactly why Mondays are so important. I know if I can get my Monday to go smoothly, the rest of my week will also go smoothly and be much easier to accomplish everything on my to do list for the rest of the week. These are AWESOME! I need the chore chart NOW! I love the charts and ideas. I’m working on getting organized! I’m trying to declutter as much as possible to make cleaning easier! I feel like meal planning is finally under control and a regular habit though which makes life so much easier. I totally agree that meal planning makes life easier. I feel so stressed when I don’t do it! Monday has been my day off for years, and I completely agree that it is the most important day of the week. I have to start early, too, to make sure I don’t fall in the trap of doing something dumb, like going back to bed, or getting sucked into going out for the day. I plan my meals for the whole week, clean the house, do laundry, all the stuff you mentioned. Sometimes I do make time for a little bit of reading before the kids get home, because hubs is a teacher so mine ride home with him. Then it’s homework, cooking, etc. I LOVE Mondays, which most people just can’t understand! Lol!